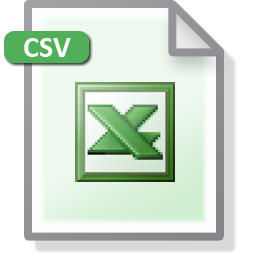 Looking for an easy way to get your CSV data out of Microsoft Excel, and into your GPS receiver? Need to get comma-delimited addresses or POI files into a Garmin GPS, or into Google Earth, ArcGIS, or AutoCAD? Do you have GPS data that you need to add to a spreadsheet? ExpertGPS makes it easy to convert any kind of GPS or mapping data to and from CSV!